Things to Do in DTLA: Fun Frolics & Hidden Gems! Looking for something different to do in DTLA? Of course there’s the expected slew of restaurant openings, hot new shops, and cool brewpubs––and who’s complaining! But if you stray a bit off the beaten track, you’ll find that our city is teeming with unusual diversions, fun frolics, and hidden gems, just waiting to be discovered. 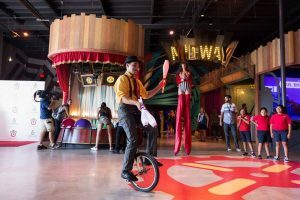 Billing itself as he world’s first Micro-Amusement Park™, Two Bit Circus is an experiential entertainment playspace where fun-seekers of all ages can gather and play. 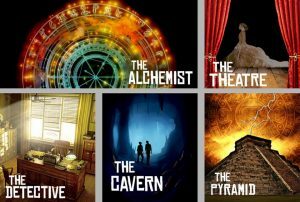 The park promises an ever-changing landscape of immersive entertainment; including multi-person virtual reality, narrative-based escape/story rooms, indie arcades, molecular mixology and liberal use of lasers and robots. As a brand new type of social playspace (Two Bit Circus just opened in September 2018), the venues are also a launchpad for new technologies and aim to bring ideas from designers, inventors, makers, engineers, storytellers and more from concept to reality. Sounds like a blast? Make reservations here. 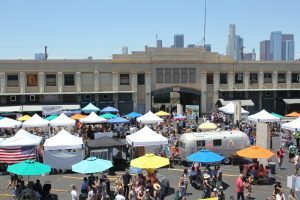 Launched in June of 2016, Smorgasburg LA has become the largest weekly open-air food market in Los Angeles, attracting 8,000 to 12,000 attendees every Sunday, year round. Located on the five-acre site of the weekday 7th Street Produce Market in ROW DTLA, Smorgasburg LA features over 90 food vendors, a beer garden offering local craft beer and micheladas, live DJs, cultural events, pop-ups, and sophisticated shopping including design, craft, style, vintage, wellness, and more. Sundays, 10 AM – 4 PM. Sorry, no pets allowed. Need to unwind your mind? Peace Awareness Labyrinth & Gardens was established by the Movement of Spiritual Inner Awareness as a non-profit center dedicated to peace and spirituality. Called a “Spiritual Oasis in the City,” its purpose is to provide a place for people to take time out of their busy lives to visit, reflect, and be rejuvenated by the peace and solace of nature. The centerpiece of the property is an outdoor stone labyrinth, using the same design as the Chartres Cathedral labyrinth. 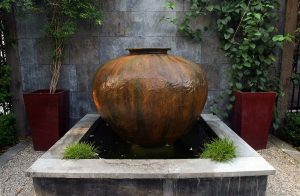 The spectacular Asian-themed meditation garden presents sixteen water features, a koi pond, and intimate seating areas tucked away to reflect, repose, meditate, while a pergola and courtyard gardens offer additional areas to enjoy. Classes and workshops exploring topics focusing on personal growth and practical spirituality are offered weekly. Complimentary admission here. 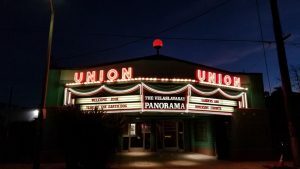 Cartwheel Art Tours pulls back the curtain on LA’s “underground” past, from notorious Prohibition-era murders to infamous speakeasy haunts frequented by the Old Hollywood elite. 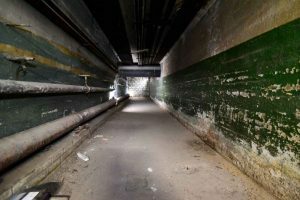 Tours include a few stops under the busy streets of DTLA to discover a century-old tunnel and speakeasies, alongside more modern interpretations of the city’s hidden watering holes. 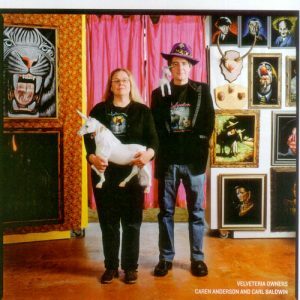 Based in the DTLA Arts District, Cartwheel Art creates and produces immersive, neighborhood explorations and experiences designed by founder Cindy Schwarzstein, a hands-on active member of the Los Angeles arts community. The tours are offered as an opportunity to engage individuals and groups in art, food and historical adventure, with a focus on supporting local artists and artisan businesses. Buy tickets here.